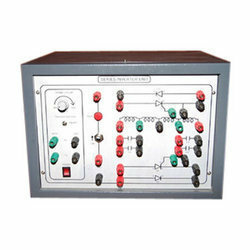 We are among the eminent manufacturers and suppliers of an extensive array of Electrical Equipment Board. Manufactured using high quality material, our range finds pervasive applications in electrical industry. To meet diverse requirements of customers, we offer these boards in various sizes and thicknesses at most competitive rates. Looking for Electrical Equipment Board ?